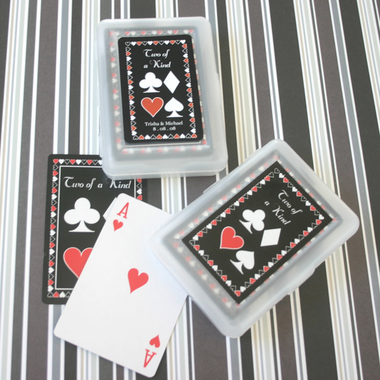 Our Two of a Kind Playing Cards are perfect for Vegas weddings or even a destination anniversary party with a Casino theme! The personalized sticker reads "Two of a Kind" at the top and offers an area with two lines of personalized text underneath the suits design. 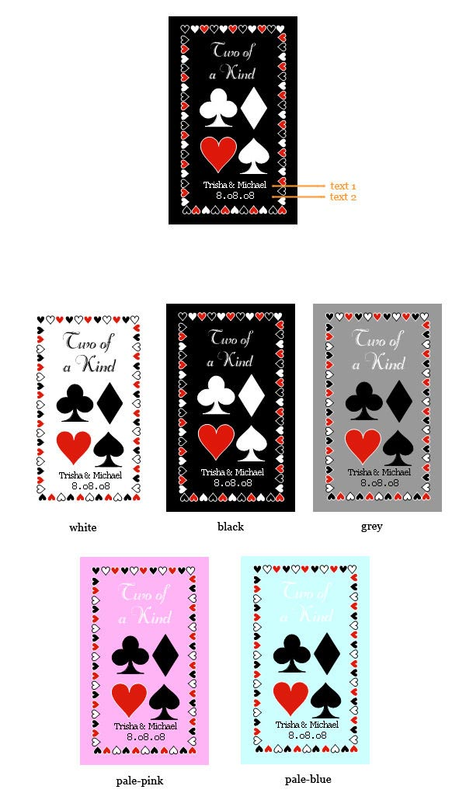 You will affix the stickers to the box that the cards come in - the playing cards, which are not personalized, have a "Two of a Kind" design with card suits printed on black glossy cards. This deck of cards is the perfect favor for the fun loving soul mates. The decks come neatly packaged in a translucent box measuring approximately 2.25" x 3.5". The personalized labels for the the outside of the box will come on sheets and some assembly required by you to affix the stickers to the boxes. 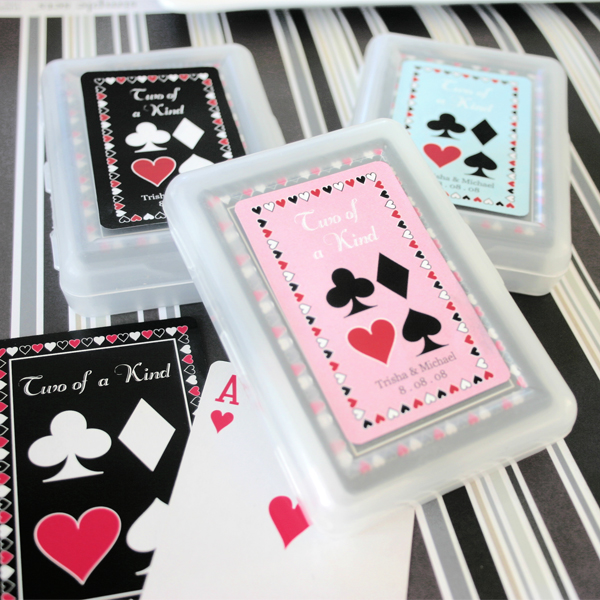 The customization of this favor is the personalized label that you affix to the gift box that the deck arrives in. You choose the label color. 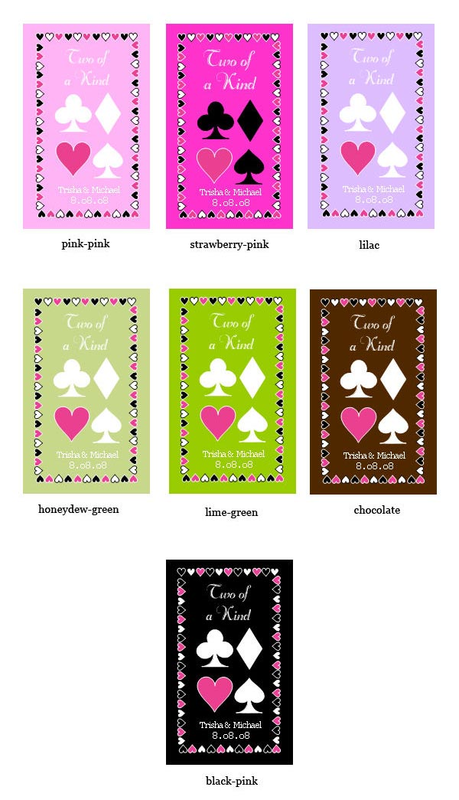 Individual cards are not personalized and do not come in any other color but black; see inset for photo of playing card.